We are happy to announce TWO DEALS. Ohhh yeahhhh. 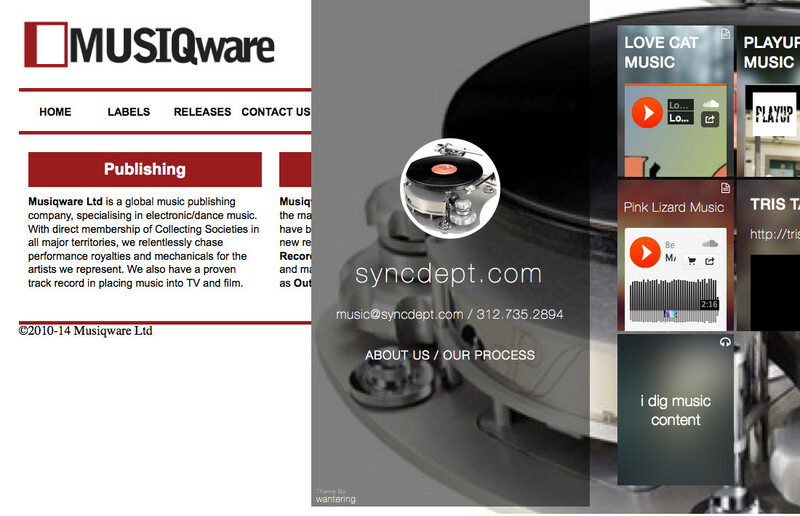 A three-year deal with Musiqware gives us worldwide rights management across publishing and neighbouring rights. We like em because they’re not so big that we’ll get lost, but big enough to be directly registered with PROs in all major territories – and already looking after waaaay more than 15,000 titles. So now we can register and collect for our songwriters and on our masters quickly and transparently, everywhere they’re likely to earn. We’ve also inked a deal with Chicago-based The Sync Department, who will represent Pink Lizard Music’s catalogue specifically in the MidWest US. We like em because they know this territory very well. And because we’ve been thinking about building a composer roster, which is also something they understand very well. Since we finalised the deals last week we’ve already benefited. More on that soon. If you like, subscribe for updates.